There's no designated theme this week for the AIS stamping group, so I thought I'd bring you a spiral-y pattern I stamped with two different sparkly color schemes. This first version starts with a dark blue base that already had some sparkle, but I wanted MOAR, so I added some flakies. 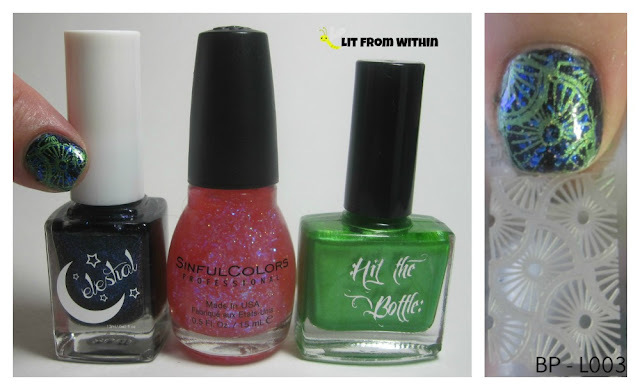 I love this bright green stamping polish! 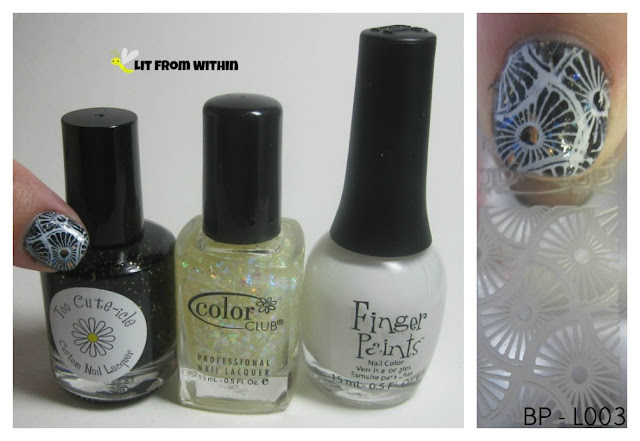 What I used: Celestial Cosmetics Death Is Not The End, Sinful Colors Pink Ansen, Hit The Bottle Absinthe Minded, and plate BP-L003. I took the same plate and did a black and white version to match my outfit. Again with the flakies! They are my favorite. I love the way they catch the light, and they're usually easier to remove than regular glitter..
What I used: Too Cute-icle Queen of the Nile, and unmarked Color Club mylar flakie, Finger Paints Paper Mache, and plate BP-L003. I think this stamp is so cool, and the two looks are so different! 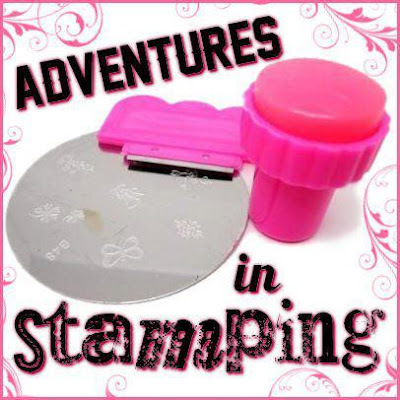 What are some ways you create different looks with the same stamp?